125 Korean Feature Films – Free – The Korean Film Archive has put on YouTube over 100 Korean feature films, including Im Kwon-taek’s Sopyonje and Hong Sangsoo’s The Day the Pig Fell Into a Well. A bonanza for fans of Korean film. 70 Movies in HD from Famed Russian Studio Mosfilm – Free – Includes films by Tarkovsky, Eisenstein and Kurosawa, plus Sergei Bondarchuk’s 1969 adaptation of Leo Tolstoy’s War and Peace. These all appear on Mosfilm’s official YouTube channel. Becky Sharp – Free – The first feature film to use three-strip Technicolor film, or, put differently, the first real color film. (1935). Doodlebug – Free – One of Christopher Nolan’s early short films. Made in 1997, released in 2003. Evidence – Free – From the maker of Koyaanisqatsi, a short film about kids watching cartoons (1995). J’attendrai le suivant – Free – A French film nominated for an Academy Award for the Best Short Film in 2002. Mike Leigh’s Five Minute Films – Free – The BBC commissioned him to make a series of five-minute movies in 1975. They eventually aired in 1982. ¡Que viva México! – Free – A film project begun in 1930 by Russian avant-garde filmmaker Sergei Eisenstein portraying Mexican culture and politics from pre-Conquest civilization to the Mexican revolution. The troubled film was eventually abandoned. The Divorce of Lady X – Free – British romantic comedy film starring Laurence Olivier and Merle Oberon (1938). The Films of Andrei Tarkovsky – Free – His major films — Stalker, Solaris, etc. — have been put online by the Russian film studio Mosfilm. The Last Farm – Free – Short Icelandic film nominated for Oscar in 2006. The Phantom Fiend – Free – The first sound remake of the 1927 Alfred Hitchcock classic, The Lodger. Stars Ivor Novello and directed by Maurice Elvey. The Short Films of Louis CK – Free – A collection of nine short films created by the comedian between 1993 and 1999. The Young Lovers – Free – Directed by Ida Lupino, this 1950 film tells the tale of a newly engaged woman who contracts polio. Film was also titled Never Fear. Alternate version here. Voyage to the Planet of Prehistoric Women – Free – An early film by “New Hollywood” director Peter Bogdanovich (1968). Horror Express – Free – Spanish horror film starring Telly Savalas of Kojak fame. The Amazing Mr. X – Free – Noir film directed by Bernard Vorhaus with cinematography by John Alton. The film tells the story of a phony spiritualist racket. (1948). The Pleasure Garden – Free – After several collaborative efforts, Hitchcock made his solo directorial debut in the German-British co-production based on a novel by Oliver Sandys. Woman on the Run – Free – After Frank Johnson (Ross Elliott) is the sole witness to a gangland murder, he goes into hiding and is trailed by Police Inspector Ferris (Robert Keith), his wife, Eleanor (Ann Sheridan), and newspaperman, Danny Leggett (Dennis O’Keefe). Find a complete collection of Film Noir movies here and Alfred Hitchcock movies here. Heroes of Shaolin – Free – Directed by William Chang. Like many kung fu movies from the late 1970s, the main theme of the film focuses on revenge. Heroes of Shaolin 2 – Free – The sequel to the film above. Spirits of Bruce Lee – Free – Richard Lee rescues a young Thai boxer on his way to Wansen which is a small town with strange customs. Born to the West – Free – Can Dare Rudd prove he is responsible enough to win the heart of Judy and also outwit the crooked saloon owner? Stars John Wayne, Marsha Hunt and John Mack Brown. Gone with the West – Free – James Caan, Stefanie Powers and Sammy Davis Jr. in 1975 western. Santa Fe Trail – Free – Western film directed by Michael Curtiz (also directed Casablanca) and starring Errol Flynn, Olivia de Havilland and Ronald Reagan. Alternate here. (1940). The San Antonio Kid – Free – Directed by Howard Bretherton, the film is about a geologist who has found oil on the neighboring ranches and teams up with Ace who has his gang create a reign of terror to get the ranchers to sell out. The Young Land – Free – Dennis Hopper stars in a Western shot in 1959. Find a complete collection of John Wayne films here. 20 Buster Keaton Films – Free – An assortment of films from one of the founding fathers of visual comedy. Abraham Lincoln – Free – DW Griffith’s biography of the beloved United States president. A Christmas Carol – Free – Marc McDermott stars as Ebenezer Scrooge in this 1910 version of Dickens’ classic ghost story. After the Ball – Free – One of the first “adult” films in cinema history. By the pioneering director Georges Méliès. Between Showers – Free – A short Keystone film from 1914 starring Charlie Chaplin, Ford Sterling, and Emma Bell Clifton. Das Wandernde Bild – Free – A silent, black and white film directed by Fritz Lang released in 1920. Die Nibelungen – Free – A series of two silent fantasy films created by Fritz Lang in 1924. Runs 5 hours. Laughing Gas – Free – Film starring Chaplin is sometimes known as ”Busy Little Dentist”, “Down and Out”, “Laffing Gas”, “The Dentist”, and “Tuning His Ivories”. Le Retour à la Raison – Free – A film from the avant-garde Cinéma Pur movement shot by Man Ray in 1923. Making a Living – Free – Premiering on February 2, 1914, Making a Living marks the first film appearance by Charlie Chaplin. Romance Sentimentale – Free – Directed by Sergei Eisenstein. (1930) Alternate version here. The Ten Commandments – Free – An epic silent film from 1923 directed by Cecil B. DeMille, and the first in DeMille’s biblical trilogy, followed by The King of Kings (1927) and The Sign of the Cross (1932). The Toll of the Sea – Free – The first general release film in technicolor. 1922. 50 Architecture Documentaries – Free – A collection of free documentaries directed by Richard Copans on famous architects and buildings. Topics include Bauhaus, Le Corbusier, Zaha Hadid & more. A World of Art: The Metropolitan Museum of Art – Free – Founded in 1870, the Metropolitan Museum of Art in New York City is a three dimensional encyclopedia of art history. Filmed in 2004. Aleister Crowley: The Wickedest Man in the World – Free – Takes you into the life of Aleister Crowley, an English occultist, ceremonial magician, poet, and mountaineer, responsible for founding the religion of Thelema. Andy Warhol and Roy Lichtenstein – Free – Documentary on the two artists from 1966. Chick Corea: Documentary of Legendary Jazz Great, Pianist and Composer – Free – Short documentary features Sting, Bobby McFerrin, Bela Fleck, Herbie Hancock, Wayne Shorter and more. Confrontation: Paris, 1968 – Free – A documentary by Seymour Drescher (Professor in the Department of History at the University of Pittsburgh & former student of George Mosse), looks at the student and worker upheaval in France in May, 1968. Cream’s Farewell Concert – Free – Tony Palmer captured Cream’s final show (starring, of course, Eric Clapton) at the Royal Albert Hall in London, November 21, 1968. Cyberpunk – Free – Documentary introduces the culture of Cyberpunk. Features vintage footage of William Gibson & Timothy Leary (1990). Founding Fathers – Free – Documentary narrated by Public Enemy’s Chuck D presents the true history of hip hop. Georgia O’Keeffe: A Life in Art – Free – A short documentary on the painter narrated by Gene Hackman. Haruki Murakami: In Search of this Elusive Writer – Free – Alan Yentob travels through Japan, from the midnight Tokyo of After Hours to the snowed-in Hokkaido of A Wild Sheep Chase, in a quest to find artifacts of the novelist’s imaginary world. History of the Leica Camera – Free – The film is in German, but it’s still great to watch. In Search of Moebius – Free – Documentary about Frenchman Jean Giraud, one of the most influential comic strip illustrators and authors of all time. Inside: Dr. Strangelove – Free – Interviews with cast members, critics, editors, producers and others associated with the picture reveal how this Cold War worst-case-scenario developed into something so very… Kubrickian. Japanology – Free – Produced by NHK World, this series of documentaries explores many aspects of Japan, both traditional and contemporary: arts, sports, entertainment, food, technology, nature, etc. Jeff Buckley – Everybody Here Wants You – Free – Documentary about the life of Jeff Buckley. Featuring contributions from his family, friends, band members and admirers including Brad Pitt, Elizabeth Fraser, Jimmy Page. Life in a Day – Video – Film captures for future generations what it was like to be alive on the 24th of July, 2010. Executive produced by Ridley Scott and directed by Kevin Macdonald. N is a Number – Free – Documentary directed by George Paul Csicsery about the life of mathematician Paul Erdős. Six Sports Mini Documentaries by Errol Morris – Free – These films touching on the weird side of sports were made for ESPN in March 2015. Staircases to Nowhere: Making Stanley Kubrick’s The Shining – Free – An in-depth oral history of the production of Stanley Kubrick’s film, The Shining. The Complete Star Wars Filmumentaries – Free – Jamie Benning has created a trilogy of documentary-commentaries on the Star Wars trilogy. Features deleted scenes, alternate takes and different angles, bloopers, original on set audio recordings and a huge amount of commentary from cast and crew. The Making of Koyaanisqatsi – Free – Director Godfrey Reggio gives you the backstory behind his 1982 film, Koyaanisqatsi. The Responsive Eye – Free – Brian DePalma’s short film documenting the opening night of an OP ART exhibition at the Museum of Modern Art in New York in 1966. The Secret Life of Adolf Hitler – Free – 1950’s television documentary that includes interviews with Hitler’s sister Paula Wolf and footage from Eva Braun’s rare home movies. The Simulation Hypothesis – Free – Are we living in a virtual reality? And if so, could we ever tell? Features Appearances by Max Tegmark, Neil degrasse Tyson, Paul Davies and James Gates (2015). Triumph of the Will – Free – (1935) The major Nazi propaganda work by Leni Riefenstahl. With subtitles. The Universal Mind of Bill Evans – Free – 1966 documentary takes you inside the creative process/world of jazz pianist Bill Evans. They Were There – Free – 30-minute film by Errol Morris, commissioned by IBM to celebrate the company’s centennial. Music by Philip Glass. The World At War – Free – Acclaimed 26-episode WWII documentary “The World at War” was produced by Thames Television and aired in 1973-1974. Trapped: Andy Warhol’s Amiga Experiments – Free – Short film documents how Carnegie Mellon experts recovered lost paintings that Andy Warhol made on the Commodore Amiga computer during the 1980s. Virginia Woolf: A Novelist – Free – Draws on old maps, contemporary drawings and paintings, portraits and other archive material to present an outline of Virginia Woolf’s life and to convey a picture of the social and historical background to her writing. 6 Animations of Stories & Poems by Shel Silverstein – Free – Includes “Ickle Me, Pickle Me, Tickle Me Too” from Where the Sidewalk Ends. 13 Experimental Short Films by Tezuka Osamu – Free – Early animations by Tezuka Osamau, often called the Walt Disney of Japan. 30 Films from the 1970s by Computer Animation Pioneer Lillian F. Schwartz – Free – Watch films by one of the first women artists notable for basing almost her entire body of work on computational media. Cinderella – Free – One of the first films by the silhouette animator Lotte Reiniger (1922). Cold War Pro-Capitalism Animations – Free – A series of Cold War animations that explain why American capitalism is the best way to go. Films were funded by the CEO of General Motors. Destino – Free – Walt Disney and Salvador Dalí began working together in 1946 on a project that was tabled, then finally revived and finished in 2003. Every Child – Free – Eugene Fedorenko’s animated short about an unwanted baby cared for by homeless men. 1979 Oscar-winner for Best Animated Short Film. Father and Daughter – Free – Michaël Dudok De Wit’s heartbreaking short won the 2000 Academy Award for Animated Short Film. Granny O’Grimm’s Sleeping Beauty– Free – 6 minute animated black comedy. Shortlisted for the 2010 Oscar for Best Animated Short Film. Here There be Tygers – Free – A Soviet animation of a short story by Ray Bradbury. Directed by Vladimir Samsonov (1989). I Touch a Red Button Man – Free – A short film by David Lynch and Interpol. Originally shown at the Coachella 2011 Festival. Logorama – Free – François Alaux and Herve de Crecy’s 17 minute film, Logorama, won the Oscar for Short Film (Animated) in 2009. Special Delivery – Free – Hilarious story won 1978 Oscar for Best Animated Short Film. The Danish Poet – Free – Animated short film written, directed, and animated by Torill Kove and narrated by Liv Ullmann, won the Academy Award in 2006. The Nightmare Before Christmas – Free – Christopher Lee narrates a beautiful animation of Tim Burton’s poem, Nightmare Before Christmas. The Sand Castle – Free – Short animated film about the sandman and the creatures he sculpts out of sand. 1977 Oscar-winner for Best Animated Short Film. The Tell-Tale Heart – Free – Animated version of Edgar Allan Poe’s classic from 1953. Narrated by James Mason. Tin Toy – Free – John Lasseter created this Oscar-winning short film in 1988 at Pixar. It was the beginning of the company’s transition into being a premier animation studio. UCLA Silent Animation Archive – Free – Collection of the earliest animations from the silent era. When you’re looking for free movies online, the Internet Archive should be your first stop. It features large collections of classic comedies, film noir and sci-fi/horror flix. Many films listed above come from the Internet Archive. Australian Screen Archive: The Australian National Film and Sound Archive provides free and worldwide access to over 1,000 film and television titles – a treasure chest of down-under video 100 years in the making. B Minus Movies: AMC is your new go-to site for B-movies by the likes of John Carpenter (Dark Star) and Roger Corman (Saga of the Viking Women). Want to see international icons before they made it big? Check out Raquel Welch in A Swingin’ Summer or kung-fu king Sonny Chiba in Terror Beneath the Sea. Looking for the unexpected? How about The Ruthless Four, a spaghetti Western starring Klaus Kinski. BestOnlineDocumentaries: As one reader previously told us, “This site is a bit out of date and some of the links are broken, but it’s still a great compilation of online documentaries.” For more documentaries, you should also see Snagfilms mentioned below. Big Five Glories: Presents classic films in the public domain within an attractive user interface. Makes the films a pleasure to watch. Classic Cinema Online: This site nicely pulls together hundreds of classic films, ranging from Action to Westerns and even old cinema shorts and news reels. Crackle.com: If you’re looking for more mainstream movies, here you go. This is Sony’s online movie play. Note: there’s probably some geo-blocking that comes with this. Also, one of our readers has also suggested the UK-based Blinkbox, which seems to offer another platform for more mainstream films. Creative Commons: The folks who gave us the Creative Commons license host a wiki where you can find a good number of freely available films. Handy and worth keeping an eye on. I’d also suggest keeping tabs on CC’s Video blog. Film Annex: This site has one of the largest selections of online films for you to watch or download. You can find free classic movies and television shows right here. And you’ll also find at the Film Annex many films from independent filmmakers and directors. The site gives you the ability to download or stream films to your PC, laptop or iPhone. The films are ad-supported. 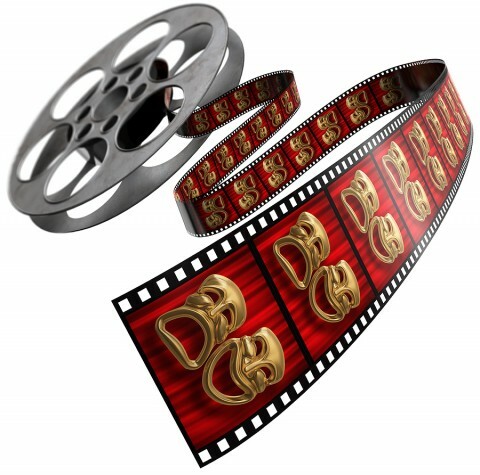 FMO: FreeMoviesOnline features a large selection of public domain films. Hulu: Unfortunately Hulu limits its programming to a US audience (a policy that really needs to change), but it’s the 800 pound gorilla in the US, and there are some decent films here. You will find some Hulu titles sprinkled in above. IMDB: This is perhaps a little redundant, but the Internet Movie Database (IMDB) also hosts some free online films (as well as TV shows) on its site. From what I can tell, it’s done in partnership with Hulu. But this collection has the advantage of pointing you to some decent films. Click here and scroll down. You can also find another re-packager of Hulu flix over at Veoh.com. Korean Film Archive – Assembled with the help of Google, the archive features 98 classic Korean films. Movies include A Hometown in Heart, made in the early years of Korean Independence; debut film of noted auteur Sang-soo Hong The day a pig fell into a well; A Coachman, the first Korean film to win awards internationally; and more. Many other titles like Aimless Bullet and The Barefooted Young are available in HD. OVGuide: If you’re looking for more free films, you should pay this site a visit. OVGuide is an up-to-date guide to online video, including TV shows, movies, and video games. It offers another way to find free movies online. Paramount Vault: For US viewers only, Paramount Pictures has put on Youtube a collection of Paramount full-length films, divided into the following categories: Classics, Comedy, Action/Adventure, Drama, Horror, Westerns, Science Fiction & Thrillers. PBS Video: PBS hosts online a new film based on Michael Pollan’s bestseller, Botany of Desire. Other PBS productions are also housed here. QuickSilverScreen: This site essentially puts torrents online and lets you watch films posted by other users, including many new films. It’s hard to believe that this site is entirely kosher, but it’s very popular (one of the top 3,000 sites on the web) and hardly a closely held secret. SnagFilms: SnagFilms offers viewers high-quality video content from an extensive online library that now includes more than 4,000 titles. You can view films at snagfilms.com, as well on SnagFilms’ apps on all mobile and connected TV platforms, and Xbox. The Auteurs.com: Though this site typically offers arts films on a pay-per-view basis, it does feature a series of free films. Each month, a free film is featured (see example here). The site also hosts free international films restored by Martin Scorsese’s Word Cinema Foundation, mentioned below. UbuWeb: Presents dozens of avant-garde films & videos for your viewing pleasure. Veoh.com: Tends to redistribute films from Hulu but some other gems one can be found here. World Cinema Foundation: The WCF, created by Martin Scorsese in 2007, has restored a series of classic international films. You can watch them for free online. YouTube Movies: YouTube hosts a series of full-length movies (that are likely geo-restricted). YouTube Screening Room: The Screening Room presents high quality, short independent films to YouTube users and promises to roll out four new films every two weeks. The collection includes some Academy-Award winners and other quality films. More info here. For more Free Culture, see our other major collections: Free Courses Online, Free Audio Books, Free Language Lessons, Free eBooks and Free MOOCs.